Everytime i start the game, it runs at 60fps up until the intro video where it usually dips to around 30-45fps. I'm fairly new to the emulator so i'm not sure where to start. I'm not sure if this could cause slowdown, but i have the emulator program on one computer on the network and the iso file on another computer. 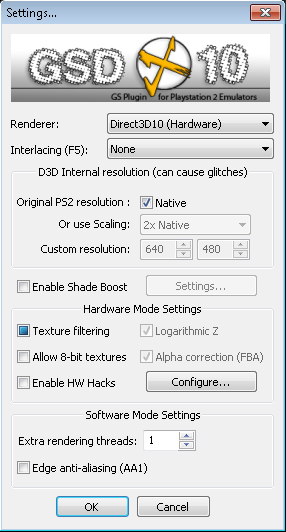 When i run ffx and get to the intro, as it drops to around 40fps i've noticed that on the top of the emulator, EE says around 40-50% and the GS says around 60-70% at the most if that helps any. even if you set internal res to native, ou won't avoid slowdowns with this GPU, unfortunately. and BTW, yes, having your ISO on a network share may not help either . if you want to keep native res, I'd say a 9800 GTX would be enough. Running full speed at 2x native res with a 4570M (Demi 55 fps, Shiva full sequence 25 fps). (09-15-2012, 08:11 PM)Livy Wrote: Running full speed at 2x native res with a 4570M (Demi 55 fps, Shiva full sequence 25 fps). Will this card be fine to run games on near max settings? My computer can run the game on this emulator quite easily even on 3x. It's a shame there's no way i can think of to have this computer to the processing and just send the video over to my tv pc. if you can, try get a 560ti. its very good bang for buck. or even a 470. The X50's dont tend to be very good compared to others around its level of performance. but ofcourse it all depends on the money you have atm.